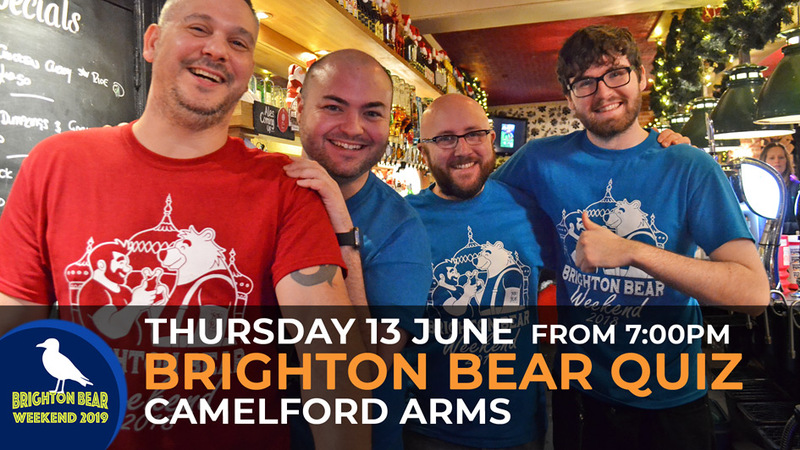 Brighton Bear Weekend kicks off in style with our big, beary pub quiz! The quiz itself will start at 9:00 pm, but arrive by 8:00 to make sure you get a table – or better still, why not have an early dinner? You can call the Camelford Arms at 01273 622386 in advance to book a table, and stay on afterwards for the quiz. If you have ordered wristbands or t-shirts for collection, you will also be able to pick them up (or buy more) from your friendly Brighton Bear Weekend crew!